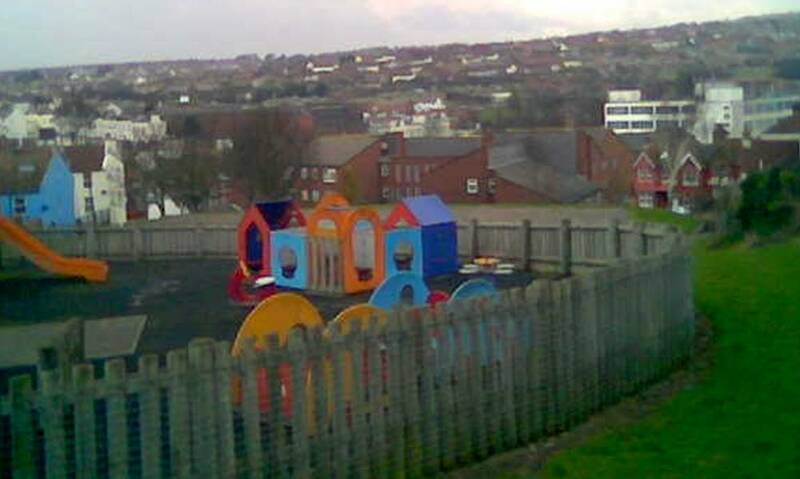 ABOVE: This is the playground at William Clarke Park, built on the site of what was originally the Bonchurch Road Cutting. The building in the background is Old Viaduct Court and it is at this point that Hartington Road Bridge crossed over Hartington Road. 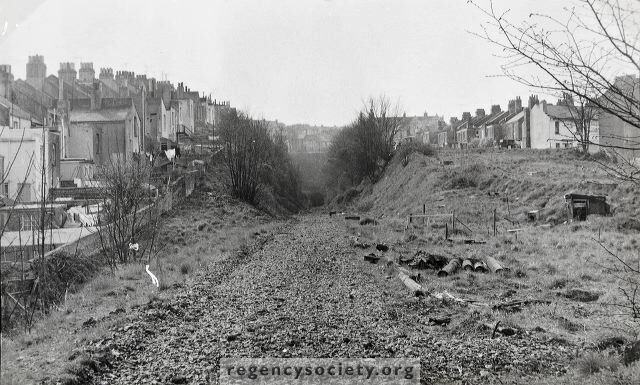 The picture below shows the cutting in roughly 1972, after closure and just before it was filled in. The playground would be just level with the logs just to the right in the foreground. This photo appears on the Regency Society "James Gray Collection" website and appears here for illustration and personal research purposes only.